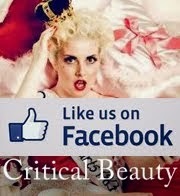 Finally, Critical Beauty website is back up and running! Thank you to all our faithful fans and readers for their patience while the site was being moved to a new server and being reconstructed. We decided to switch to Blogger as the new server only because it's so much more convenient than the old one. With the new design, the site looks more refreshing and sophisticated. We have done away with the website cover page, so when you enter the website it will automatically take you to the home page. The most frequently visited sections can now be easily accessed by clicking the respective square banner: Pageant and Image Consulting Services, Beauty in All Creatures, Critical Photo (which will be updated at least three times a week), Galleries (with links to Picassa albums), Telecasts, and a new one, Beauty and Brains (which pays tribute to intellectually gifted beauties). 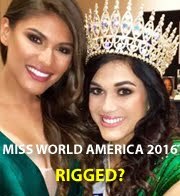 There is also a separate tab - Pageant Websites - that link to our favorite pageant-related sites. On the side bar, you will find these categories that used to be part of the Features section: Articles, Interviews, and Features. If you want to return to the home page, just click the head banner. You can now receive constant updates via e-mail. Just look for the tab that says FOLLOW BY EMAIL, enter your e-mail address, and then submit. 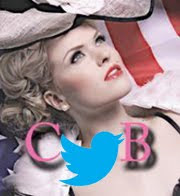 You can also sign up as a member by clicking the Join This Site button under the FOLLOWERS tab. By becoming a member, you will be able to post comments. As usual, compared to other pageant websites riddled with Google ads, Critical Beauty is ad-free, thus maintaining its clean and sophisticated look. Fortunately, it's not costly to run and maintain this site (thanks to GoDaddy's modest monthly fee of registering the domain name and Blogger's free hosting service). Of course, when our dear readers feel the urge to be charitable, we would welcome your financial contribution for which we would be eternally grateful! Scroll down the side bar to see Support This Blog to make your donation. Thank you in advance! Now you wonder what the background images are all about? For the relaunching of the Critical Beauty website, we pay homage to Japanese beauties! For optimum viewing, we recommend that you use Google Chrome or Mozilla Firefox as your browser. If you use any of these browsers, you'll notice that the font selected for the text is called Arimo, which looks crisp and clean. Unfortunately, the Arimo font does not register in Internet Explorer and defaults to Georgia font.